Since roads of Isaac Florentine and Scott Adkins went separate ways and Scott mostly working with Jesse Johnson now, Isaac decided to join forces with Antonio Banderas in Acts of Vengeance. 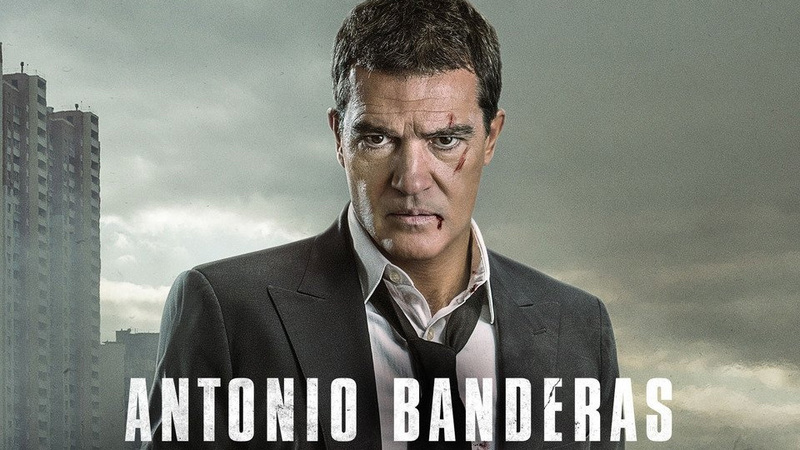 Looks like Antonio is trying to restore his action hero status and he fits into these roles perfectly. He was good in a role of a mall security guard in the Security movie where he fought Cung Le, and now as fast-talking lawyer he takes a vow of silence and looking for people killed his wife and daughter. Fighting choreography was done by Tim Man who worked with Florentine of Ninja 2 and Undisputed 4.